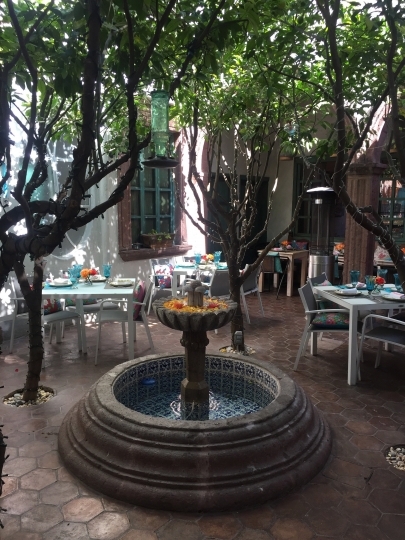 SAN MIGUEL DE ALLENDE, Mexico — Step off the dusty cobblestone streets and peek behind nondescript, weather-worn, faded, even grimy brick facades, and encounter the startlingly beautiful courtyard gardens of this central Mexican colonial town. These oases of beauty and calm claim their roots in the traditional Moorish gardens of ancient Spain. Those, in turn, were inspired by Persian, Roman and Islamic gardens even earlier. The word "paradise" itself means "walled garden." "Life was directed inside" initially for safety reasons, he explained. "No one saw you. It looks like nothing from the outside, and then you get into this beautiful patio." 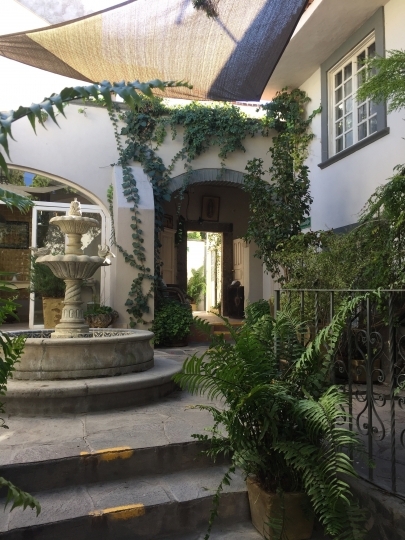 Markus Luck has been designing gardens in San Miguel since 2006. "You want something that looks good year-round," he explains. "Put in things that aren't too big, don't block too much light, aren't too cluttered." 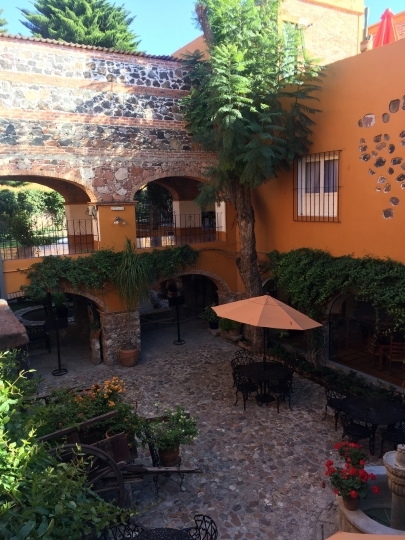 Because of its mild, Mediterranean climate, just about anything can grow — and quickly — in San Miguel. Popular choices for courtyard gardens include citrus trees, including oranges, limes and kumquats, olive trees, bougainvillea, ferns and lavender. "I would see something in front of someone's house and I'd knock on the door and ask for a cutting," Luck said. "You'd see the ones over time that do well." San Miguel uses well water stored in ancient aquifers, so it's chock full of salt and other minerals, Luck said. "I grew up in L.A. with a jacaranda outside my window. It was minuscule compared to these that are 110 years old," Weisman said. "Nothing like an ancient tree to give scale and sculptural quality to a garden." The main building on the couple's property was originally built in the 18th century as a tannery, so it's more open and less claustrophobic than most, Weisman explained. He said they designed the courtyard as a series of rooms, each with a theme and purpose, from the pool area to the dining terrace to the outdoor living room with fireplace. "For the planting, it was critical that everything be easy to grow and native," he said. "In our youth, we spent a lot of time trying to grow things that didn't want to grow, and we've learned better." Alarcon said he still meets clients who want what they can't — or shouldn't — have. "Gardens work as a dynamic unit. Everything should work with everything else," he said, adding that he encourages property owners to think past their immediate enjoyment to the mid- or long-term. "Gardens don't remain the same. Even if you try to control it. Plants grow old, they die, they change."